Our mission was to build a user-friendly website to attract new customers, develop a positive reputation and ultimately yield transactions. 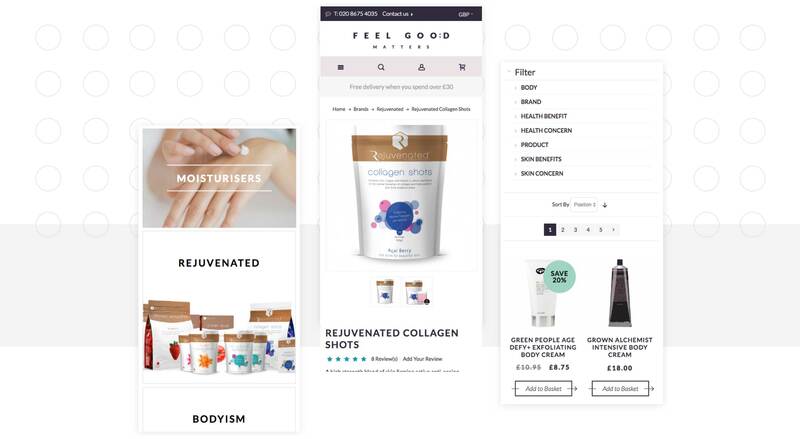 As Feel Good Matters started to grow their eCommerce presence, the development and user experience of the website needed to match it. We supported this by developing features to increase conversion as well as improve the overall user experience. With mobile traffic continuing to trend upwards, we adapted existing features into a more user friendly and responsive design. This included optimised versions of category pages, product pages and various other in-page content areas. 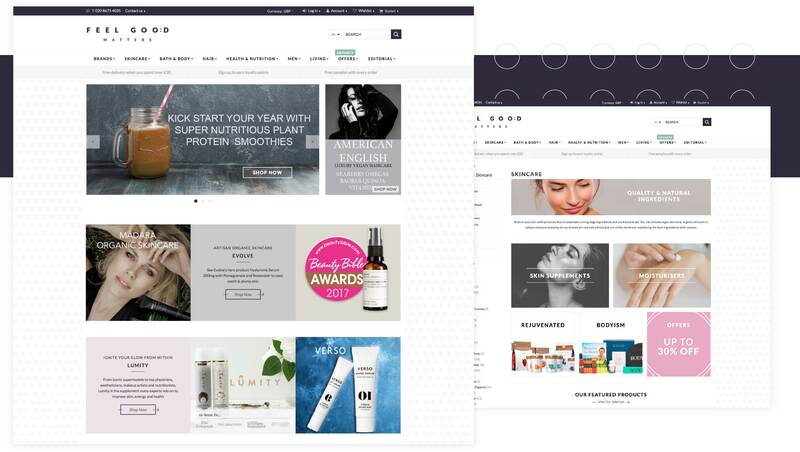 By understanding the value proposition of Feel Good Matters, we were able to present their unique selling points to customers throughout the header, product page and sidebar. When analysing customer interaction data, we found that some landing pages could be changed to reflect their user journey. This included a responsive design and featured product widgets. As Feel Good Matters offer such a wide variety of brands and products, we greatly improved the visual appearance of the menu in terms of clarity, design and dynamic images.